Hilary Clinton is the odds on favourite to become the next US President, according to trading on Matchbook. 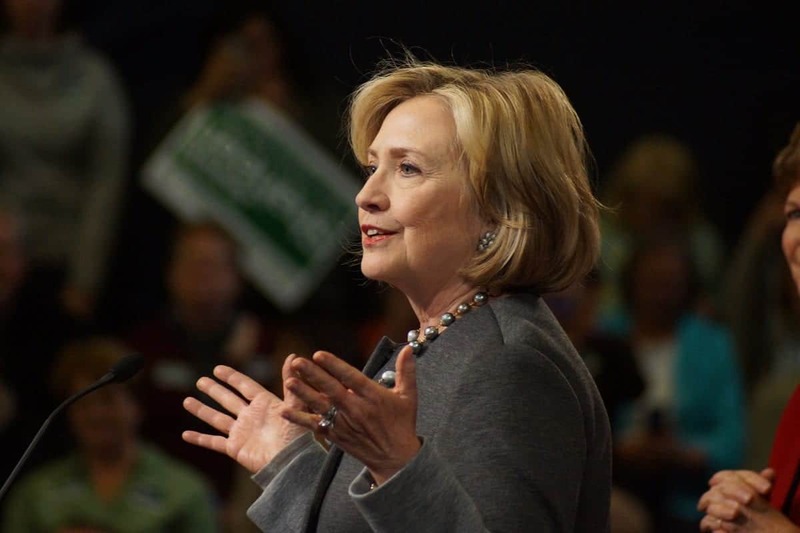 The chances of her being inaugurated as the 44th President of the US rose from 59 per cent to 64 per cent following a super ‘Super Tuesday’. Meanwhile Donald Trump’s probability of securing the nomination has risen 1.5 percentage points, moving to 79.32 per cent from 77.84 per cent. 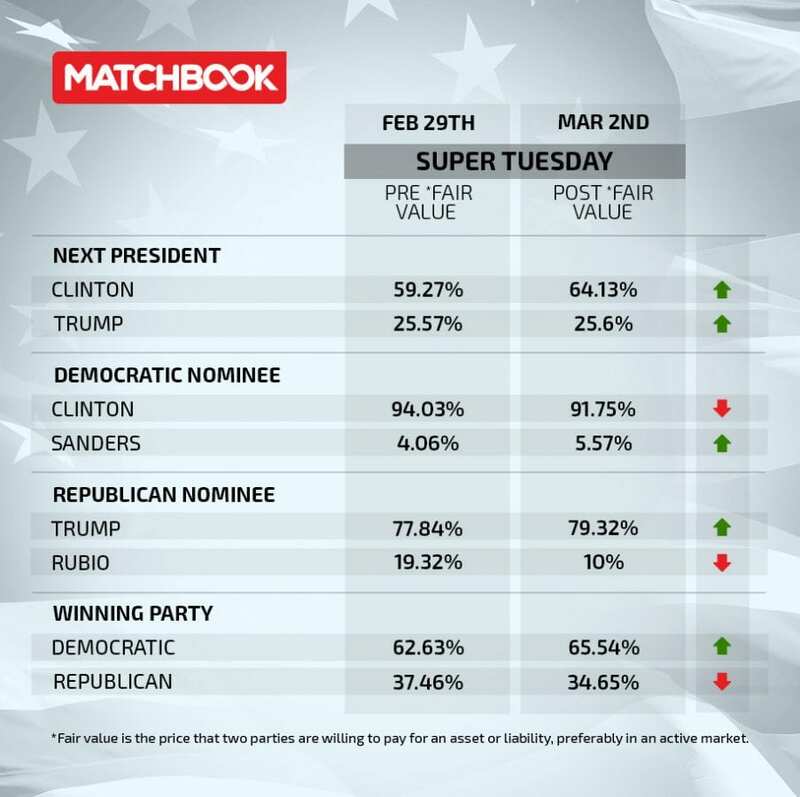 However, having doubled his probability of becoming president in the last six weeks, the gains are slight for Trump in the Next President market following Super Tuesday increased only marginally from 25.57 per cent to 25.6 per cent.